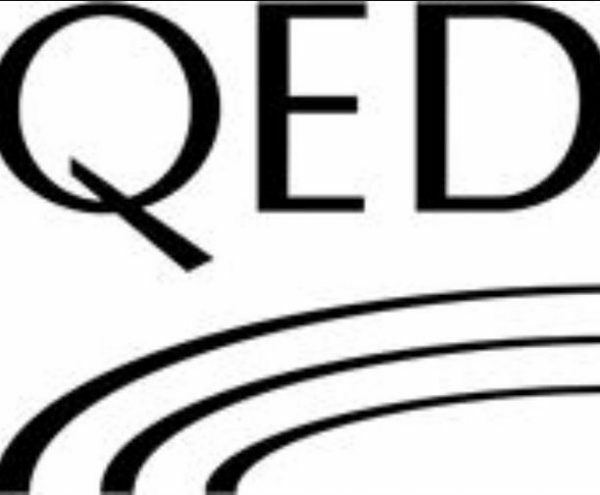 A Pair of 2x 1.0m QED SILVER ANNIVERSARY-XT Audio Speaker Cables Terminated. All cables is high pressure crimped of professional crimping tool QED AIRLOC HIGH PERFORMANCE TERMINATION (for maximum contact surface area), One end high quality 24 gold-plated spade connectors, other end high quality 24 gold-plated banana Z-Type plugs plus extra QED pin section with PREMIUM gold plating See photos (Compatible with Arcam – Linn – Cyrus and all other good quality audio products). All ends finished with colour coded red and black heat shrink sleeves. • Silver Anniversary XT has been specifically designed as the natural replacement for the multi-award winning Silver Anniversary speaker cable. 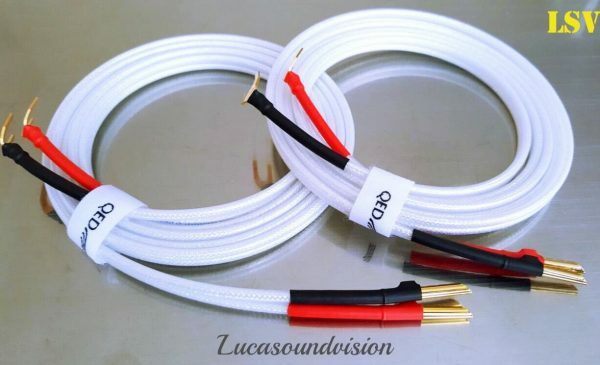 • Designed with performance in mind, the Silver Anniversary XT speaker cable boasts all of the characteristics associated with Silver Anniversary but with the added enhancement of the Aircore technology found in the prestigious X-Tube series. • X-TUBE forms the conductor in the shape of a tube with an inner aircore. This has the same effect as using multiple insulated conductors and ensures that high frequencies are transmitted cleanly, with the added benefit of ease of termination. 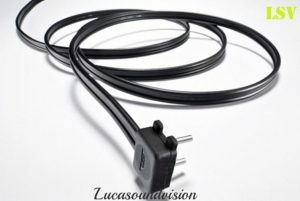 • This unique tubular conductor geometry also provides lower flux density within the conductors, which gives improved transparency to the sound. 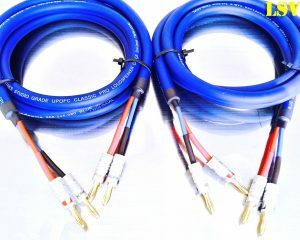 If you would like a different type plugs, or different cable lengths, please visit our Ebay shop. Please have a look at our other items, Any questions please contact with me.Thanks for looking.